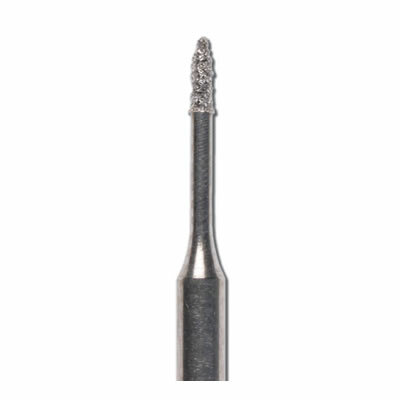 Micro-Prep diamond instruments from Brasseler are designed to improve conservative preparation design, achieving precise material reduction due to the small working head and slender neck. The Micro- Prep diamonds allow minimally invasive shaping of cavities and maximum conservation of sound tooth structure. The innovative shapes of the instruments are sized and adapted for tracing pits and fissures, removing enamel defects, and troughing of worn incisal edges.